Welcome home to 6057 Elk Ridge Dr. Eaton Rapids, 48827. 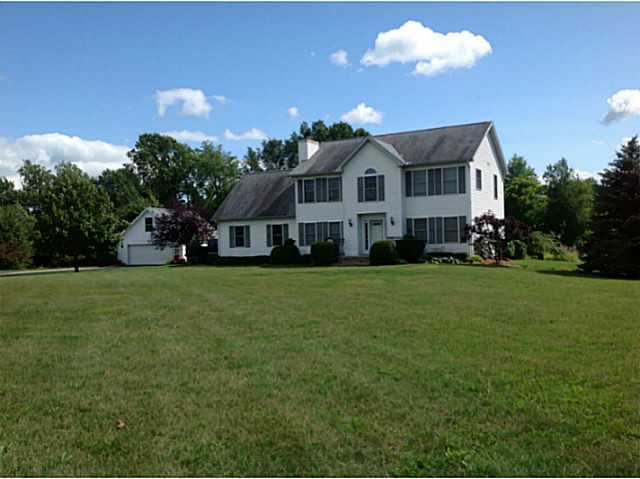 Enjoy the scenery on the long paved driveway that guides your new 4 bed-3.5 bath estate on 1.5 peaceful and comforting acres. This gorgeous two story home was built in 2000 has over 2,000 square feet of finished living space. The main level features a beautiful family room as well as an over-sized living room. Have fun cooking with the family in your new large kitchen, which leads to the welcoming dining room, ideal for enjoy family meals together. The high ceilings and enormous windows light up the entryway and stairway leading you upstairs, here you will find a master suite, with master bath featuring a jet tub ideal for relaxing after a days of hard work. Two additional bedrooms, an extremely spacious bonus room and a second bathroom can also be found on the second level. Like to entertain? The full and finished basement offers plenty of space for families of all sizes, and also features a master suite with jet tub in master bath! Storage space is the opposite of scarce on this property, with the not only the attached two car garage but the large pole barn out back as well. 10×10 back deck overlooks the 1.5 acres of woods and mini farm orchard full of raspberry bushes, apple, peach, and cherry trees. For additional information on this property click here!